Due to recent global events/turns towards tyranny, Ladyz in Noyz and Corpus Callosum Distro would like to erupt in a defiant “NO!” In the face of Trump and Brexit and a world of ideologies that lead to more violence, cruelty, and a divisiveness that we will have to explain to future generations, we must declare our dissent and outrage. This multi-genre compilation was inspired by Ionesco’s play ‘Rhinoceros’ via Teju Cole’s New York Times piece ‘A Time for Refusal’ ). 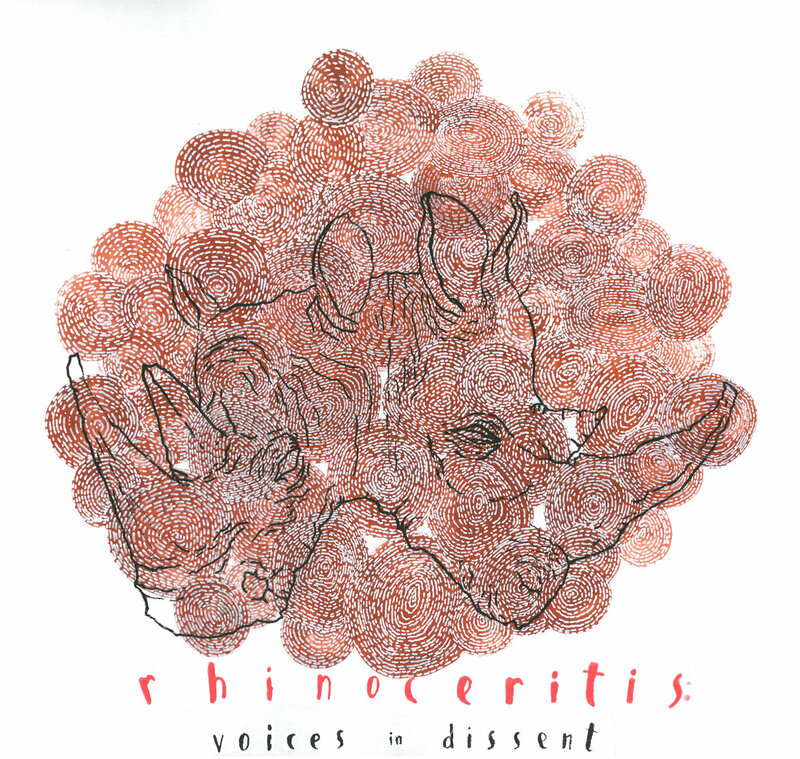 The digital compilation entitled, “RHINOCERITIS: Voices in Dissent”, received submissions from diverse artists of various backgrounds and sounds such as ambient, noise rock, sound art, harsh noise, folk, and crunkcollage, to name a few. Ladyz in Noyz and Corpus Callosum Distro made the call out to raise funds to counter this alarming global situation. We invited contributions from the Ladyz in Noyz network and each track indicates whether the track was submitted by an ally or LIN to support our initiative to promote women artists. A limited edition Rhinoceritis DISSENT benefit sticker can come with purchase or alone. Copyright © 2018 Marlo De Lara.